In a direct-booking exercise, Cebu Pacific yesterday launched a “Two-Day Crazy Seat Sale” offering flights from Australia to the Philippines from AUD 129 – provided people get in before midnight tonight. “Or until seats run out” is the usual proviso, which Cebu Pacific expressed as “until seats last”. 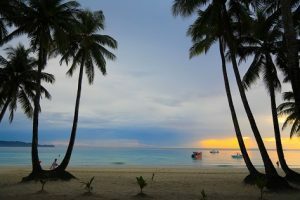 The sale heralds the reopening of Boracay, an iconic island in the Philippines that recently closed for months in a bid to clean it up and deal with the effects of years of over-tourism. According to a recent report, visitor numbers to Boracay will be restricted to no more than 6000 daily. All will be asked to sign a pledge to follow new rules. They must agree to dispose of waste properly, refrain from smoking or drinking liquor on the beach and not light bonfires there or party in a wild manner. Cebu Pacific’s sale started at 2pm yesterday (Sunday 11 November) and is underway until 11.59pm tonight (Monday 12 November) – unless available seats sell out first. “During this time, for travel between 1 February 2019 – 31 May 2019, travellers will be able to book one-way tickets to Manila from Sydney for just AUD 149, and from Melbourne from just AUD 129,” the airline said yesterday. 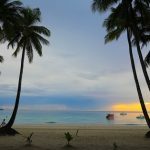 The airline went on to say it was “no surprise that the Philippines is fast becoming an alternative, affordable luxury destination to rival Aussie favourites such as Bali and Thailand”. As recently as September, Philippines tourism secretary Bernadette Romulo-Puyat told the Philippine Star that Boracay would reopen in three phases, with the first in October. A further soft reopening would follow in April next year before a full opening next December, she said. In April 2018, the country’s environment ministry recommended that the island be shut for a year to allow for a fuller rehabilitation, rather than the six months announced. A media release on the Cebu Pacific Seat Sale yesterday said tickets could be “booked directly by visiting www.cebupacificair.com. The latest seat sales can also be found on CEB’s official Twitter (@CebuPacificAir) and Facebook pages”.